Quality is an essential element in every one of Beachcomber’s models. Each Beachcomber Hot Tub is built with the same high-quality materials and workmanship to the same exacting standards. The only degrees of differences are in size, design, available options and price. This built-in quality means your Beachcomber Hot Tub will help ensure that you and your family enjoy health, happiness, and well being for years to come. 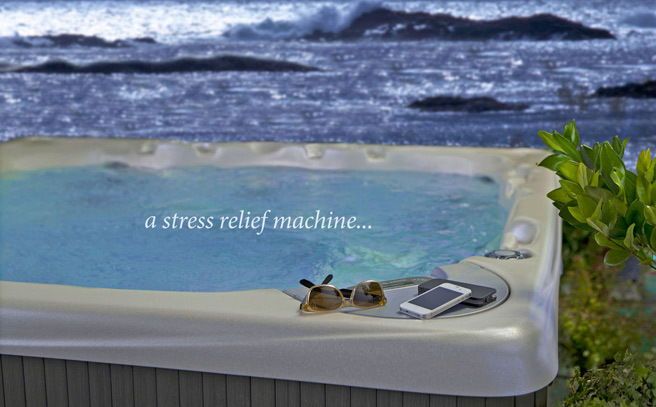 Every Beachcomber Hot Tub embodies 29 years of experience in creating the ideal environment for life’s essentials — enjoying the health-giving properties of water and sharing the warmth of family and friends. Ohana Pool & Spa has Maui’s largest stock of Beachcomber Hot Tubs! Beachcomber Hot Tubs has been leading the world in manufacturing quality hot tubs since 1978, and we are devoted to contemporary industrial design in every form, from the simple functional features, to making the most energy efficient hot tubs in the world. Our Beachcomber website is a changing environment at the center of our industry, focused on keeping prospective buyers informed of our contemporary culture. This website will demonstrate the integrity of our creativity found in every form of the Beachcomber design process, and its importance.